Silvertip Films Horsham Film Festival 2019 - TICKETS NOW ON SALE! 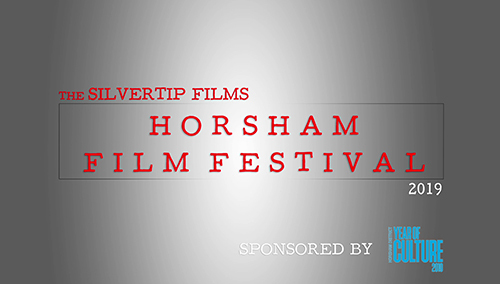 Welcome to the Silvertip Films Horsham Film Festival 2019 – sponsored by the Horsham District Year of Culture! AWARDS NIGHT TICKETS NOW ON SALE! Tickets for the Horsham Film Festival Awards Night are now on sale! The event takes place on February 21st 2019 and will be a night filled with fun, celebrating local – and not so local – filmmaking talent. The shortlisted films will be revealed and the all-important winners announced! Prizes will be given, speeches will be made and networking will be done by all involved! Head over to Eventbrite to purchase your tickets now – whether you have submitted a film or just want to come and see what the Horsham District filmmakers have produced, we hope to see you there! We’re excited to announce that we are joining the 2019 celebration of culture within the Horsham District and will be putting on a Film Festival for local – and not so local – filmmakers to enter their own films, show us what they’ve got and have the chance to win some prizes. The festival will culminate with a stylish awards show/screening in early 2019, so make sure to join us in celebrating local film! The Horsham District Year of Culture is taking place across 2019 with various events, schemes and projects intended to celebrate art, music, dance, theatre and – with us – film, across the district. We wanted to put on a festival to see what the talent is like out there, be entertained by your films and see our district on the big screen. So, are you Filmmaker? Or have always wanted to showcase a certain idea? Then this film festival is for you! Even if you aren’t local to the Horsham District, you can still enter and be a part of something awesome…read on for all the information! Best Comedy – we want to see the funniest, wackiest, most off the wall entries to make us laugh! Best Drama – move us, thrill us or maybe even scare us – this is the category for storytelling at its best. It’s open to interpretation so give us something we don’t expect! Best Animation – we love animation whether its hand drawn, stop motion or computer generated. Make it out of paper, plasticine or pixels – whatever you want! Best Documentary – celebrate the Horsham district and it’s places, people and activities within this category. Tell us their story, bring it to life on screen. Plus, a special award will be given to the film from any of the above categories which we feel best showcases the district and best engages with us. This is the Your District Award so get out there and make use of all there is around us to produce your film! UNDER 18s – if you have a camera and are under 18, we want to hear from you! OVER 18s – if you’re over 18 and have a camera, we want to hear from you too! Entry for the Film Festival is now open! Register your interest in the Festival and we can keep you up to date with developments and milestones throughout the life of the festival via our mailing list. If you want, you can also ‘like’ our Facebook page for the most up to date information on the festival as well. Get out and get shooting between June 4th 2018 and October 21st 2018 – that’s five whole months to plan and produce, go into production and enter post-production before getting your film to us. However – if your film has already started shooting before this time frame or has entered post-production within this time frame then we would still like to see it submitted to the festival! We will accept submissions at any time, but ideally between November 1st 2018 and November 30th 2018 so we can better keep track of everything coming in. We can accept submissions via uploads to our Dropbox account or via a link from your account, or via your YouTube channel and a private link. Films should run for a maximum of TEN MINUTES and no longer! We are also on Film Freeway so you can submit through here now if you have shot your film already or submit through here later in the year, when your film is finished. If you want to submit early though…we’ll take the film, just let us know! Just remember…films submitted after the end of November 2018 will not be considered. Once all the films are in, the judges will sit down throughout December 1st 2018 and January 11th 2019 to watch, enjoy and deliberate the films received to make their shortlist of best films. If your film is shortlisted for the festival, we will notify you before January 31st 2019. 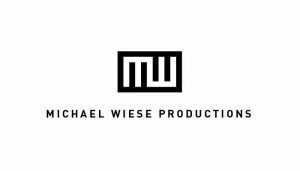 If your film isn’t accepted, we will inform you as well. The screening event for the shortlisted films and the subsequent winner announcements will take place on February 21st 2019 and will be happening at Christ’s Hospital Theatre at Christ’s Hospital School, Horsham, West Sussex. Tickets are now available via Eventbrite – we hope to see you there! To purchase tickets for the Film Festival Awards Night, head over to Eventbrite and find out all the information on the times and location for the night itself. South Lodge Hotel – a mystery prize to be revealed! 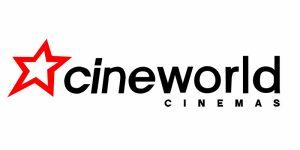 Cineworld are giving two tickets to each of the Under 18s winners, valid at any Cineworld branch nationwide! Firebird Brewery are giving the Over 18 Best Documentary winner a brewery tour for up to 10 people PLUS a commission to produce a promotional video for them (with help from us to do so) and on top of that, every Over 18 winner will receive a gift box of Firebird beers! Square 1 Studio – our favourite local studio near Dorking is offering up a half day shoot in their studio space for the Over 18 Best Drama winners. Alongside that, Barney Warner photographer will join you and take behind the scenes photos of your shoot! And for each of the two Your District award winners, a yacht holiday around the Greek isles for the Over 18s and a weeks holiday on the Beach Club in Greece courtesy of Seafarer Cruising and Sailing Holidays – plus a commission to make a promotional video during your trip and the chance to work with us at Silvertip to produce it. We are actively looking for businesses (or individuals) to come on board the Film Festival and offer prizes in exchange for considerable exposure online and in print via our Media Partner. If your business would be interested in talking further with us about these opportunities, then please take a look at our Sponsorship document and email [email protected] to talk further. This event is being put on by Silvertip Films, with sponsorship by the Horsham District Year of Culture. 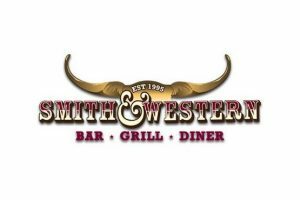 The event is being managed by Geoff Cockwill and Mike Watts of Silvertip Films, Sarah Aslin is our marketing manager, Davey Pearson is our media partner from the District Post newspaper. 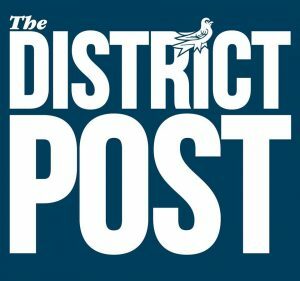 We are pleased to have The District Post as our print and online media partner to help spread the word about the Festival and get news and updates out to a wide audience. 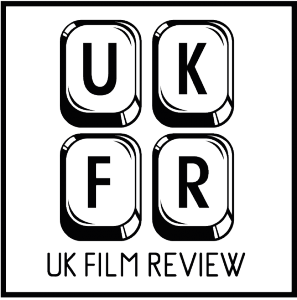 We are also pleased to be working with UK Film Review who specialise in promotion of festivals, to have their help in reaching a wide audience and getting our news and info out to film-makers around the country! We are also pleased to reveal that our regular vlog presenter Jessica Jay will be presenting the live Film Festival event in February 2019 and handing out the awards to the winners. Our ongoing charity partner is Springboard – the childrens charity based in Horsham and Crawley, West Sussex. We will be donating a percentage of the ticket sales from the live festival event to the charity as part of our commitment to helping them with video and fundraising. Any films which are partly or fully shot within Horsham District will be eligible to win the Your District award in each age group, this is the award that celebrates our District by making great use of our locations or acting talent or telling interesting stories about the area. Horsham District covers Horsham, Billingshurst, Pulborough, Storrington, Steyning, Henfield, Rusper, Warnham, Colgate, Slinfold, Broadbridge Heath, Itchingfield, Southwater, Nuthurst, Lower Beeding, Shipley, Cowfold, West Grinstead, West Chilington, Thakeham, Ashington, Ashurst, Shermanbury, Woodmancote, Upper Beeding, Bramber, Wiston, Washington, Coldwaltham, Parham, Amberley, Rudgewick. We will want to see some proof of shooting within the District so we can incorporate that into potential promotional material around the festival and its entries. Ideally you would live and / or work in the district so you fully understand the district but this isn’t essential and we do welcome all entries, from anywhere. You must register your interest in the film festival to take part and to receive updates from us during the event. Unsolicited entries will not be viewed. All films must be submitted to us for viewing as digital files – we accept WeTransfer or Dropbox submissions. Contact us to receive a Dropbox link to a folder for you to upload your film to or send a private YouTube link to us. Your productions must not break any laws during filming! Be safe, be careful and be respectful. Prizes awarded are per category, per film – not per group member. There are no duplicate prizes for winning films with multiple crew members. All prizes are final, there are no cash prize alternatives. By signing up to the film festival, you agree that clips / stills from your film may be used for event promotional material, as well as being used at the film festival awards ceremony. We are here to help you with your film production – join our Facebook Group Silvertip Films Insider and you can communicate with us, privately in a closed group, and receive help, advice, tips and more. What we can’t do however, is read your scripts and provide input into them – it isn’t fair on the other entrants. All other updates, information and details will be posted on the Silvertip Films Facebook page and on our main website and communicated to you via mailing list. We can’t provide equipment, insurance or any editing facilities. During the lifetime of the festival, we will be featuring reports, updates and mentions on randomly selected entrants and their productions in the Silvertip Films vlog and on our blog and Facebook pages and live streams. After the event, we will be giving further exposure to the winners and runners up with things including, but not limited to or guaranteed to be -a interviews, live stream features, blog articles, press coverage and more. We want to create a community of filmmakers in this district who can help each other, support each other, work together and come together over a mutual love of film and our district. We’re always on the look out for new crew and new talent so be sure to be proactive during the event period and be putting your best production skills to work in making your film. That’s everything for now – sign up with us and get out there and start shooting! We can’t wait to see what you have to show us! If you’re getting involved, use the hashtag #horshamfilmfestival so we can find you on social media or just tag us on one of our social media platforms! Posted in Blog, Vlog and tagged horsham film festival.